November 8, 1958. What started out as a family affair, a mere 61 years ago, has turned into a sweet successful story for Lodge 993. Our meetings were held in our secretary/treasurer, John Movrich’s basement. John held that position for 33 consecutive years. We could shoot pool, and check out John’s garden produce while conducting our meetings. John had a sorry septic tank system at the time, which would back up every once in a while, so only the women would use the indoor facility. The men had to use the outdoor facility, which in fact was John’s cornfield. The poor guys had to climb the steep steps numerous times, although they came back down in a hurry during our severely cold winters. Some of our hardy, early, adventurous families were the Movriches, Vukusiches, Jurkoviches, Juroviches, Rykoviches, Rupinskis, Hallorans, Webers, Hosnis, Anichs, and Miljus. At first we had so much fun in John’s basement, we didn’t care to outgrow our 1/4 barrel beer monthly meeting. But we soon had to move to the Legion Hall, and later to the VFW Post. After a few years of meeting at the Gedde home and putting up with their dogs, we moved to The Wendlandt’s basement. The meetings here, at John’s daughter, Cindy’s home, are eerily similar to the meetings in John’s basement, with the pool table and bar. 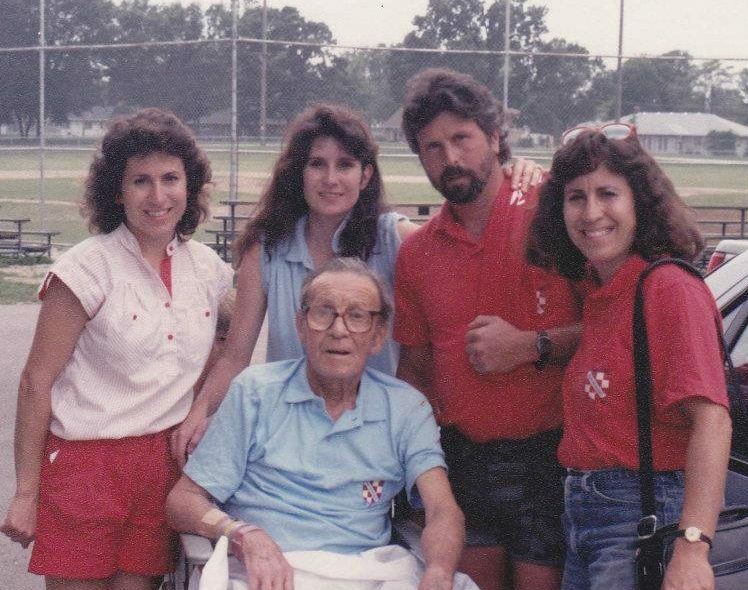 John Movich, with his foresight, was the motivation behind every activity ever held, be it our picnic, softball teams, bowling tournaments, golf outings, dances or our annual Christmas party. The time, thought and work he put into everything was amazing. It was always conducted and accomplished with a smile and, at times maybe, a few choice Croatian words. Our Lodge, 61 years ago, was the first to envision a dream of Mukwonago Field Park, with a building, kitchen, electricity, toilets, ball diamonds, playground and plenty of picnic tables. The plans for the pavilion were drawn up in John’s basement, and the Movrich brothers put in countless volunteer hours helping build it. In our beginnings, Field Park, was just that, a field with trees, grass and nothing else. For our picnics, we would set up huge tents early in the morning. Some years, when it would rain, we would end up with wet necks and backs due to our sagging tarps. But no more! What was hardly a dream 61 years ago, is now our reality. We had little money to work with, back then, but luck was with us. Our music, the best around, was furnished by our own “Movrich Tamburitzans” Orchestra, which meant the price was right! Mike, Nick, Matt and Tom made up the Movrich Tamburitzans. Nick, Matt, and Tom are now deceased, and sadly missed. We all were so proud when, in 1986, they were inducted into the Tamburitza Hall of Fame, by the Tamburitza Association of America. Our Lodge 993 is proud to be the founding sponsor of the Milwaukee CFU Tamburitzans, who are now in their 33rd year of existence. The original Tamburitzan Orchestra (Silver Strings) had their start 57 years ago, and many grandchildren are now performing in the current orchestra. 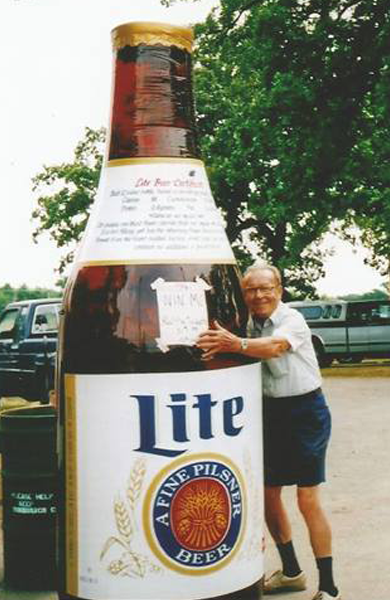 After being known as the Mukwonago Satellites Lodge 993, we voted to change our name to the “John Movrich Lodge 993″ out of love, gratitude, respect and in honor of our beloved John who passed away after a short, but severe illness in the summer of 1992. John made a last brave, touching appearance at our 33rd annual picnic (direct from the hospital), transported in a wheel chair by his loving children. John was so very ill, yet we saw tears in his eyes, a slight smile and tremble, as he felt for the last time, the love all around him. There wasn’t a dry eye anywhere. John did not, for a moment, take his eyes off our adopted “Sinovi” Orchestra from Chicago, as they played every single song John had sung with them throughout the years. They will always be our favorite group. We thank them, love them, and will be ever grateful for their thoughtfulness, love and concern. They returned again, just two weeks later, to once again play for John, his family, and all who gathered for a last farewell for our beloved John as he was laid to rest on July 30th, 1992. As we celebrate our 61st anniversary, our thoughts run back through the years with many memories, some tears, but many smiles and laughs as we watch our old black and white movies taken at our picnics and parties. We can see our young adult children sitting on Santa’s lap as now their own children are doing the same. Thank God Lenny Lukarich’s knees held up throughout so many years. We sure laugh at the pork chop side burns on the fellas and beehive hairdos and bell bottom pants on the women. We were all a few pounds lighter then too. What a few sarmas throughout the years can do! Our second and third generation young adults are now participating more and learning from us, as we also learn from them. And they are bringing a new energy, fresh ideas and much exciting input. We hope to see our John Movrich Lodge 993 continue to grow from its meager, but enthusiastic beginnings back in 1958 to a bigger, better and brighter future.